Terrestrial antenna cheaper satellite and the configuration is not complicated actions. 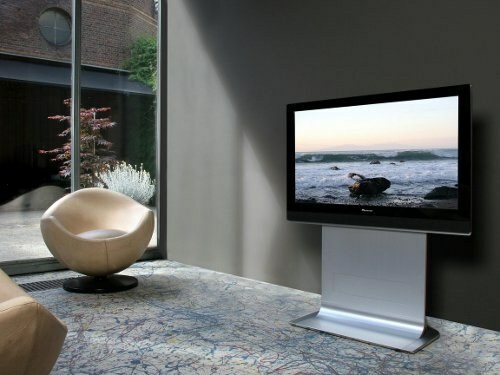 It is enough to have line of sight to the transmitting center, quality amplifier TV signal and good cable television. On the territory of our country's main terrestrial television channels without difficulty accepted for such antennas. Choose the right direction for television transmitting center and move to the antenna. Hover on the antenna, which has a narrow radiation pattern, i.e. in the UHF range, and selecting the weakest channel in it. Take the TV cable with the thickest Central core. Connect the level meter to the UHF antenna and measuring the signal level, find its maximum: for MV1 (1-5 channel) is 74 dB, for MD2 (6-12 channel) - 60 dB, UHF (channel 21-69) - 50 dB. If no meter, get the best pictures. The defect image may occur due to insufficient signal level, then the screen displays "snow", or because of the insufficiently high signal-to-noise. Align levels between the ranges. This procedure, unfortunately without measuring device is almost impossible to do. Traditionally quite strongly accepted the first range and often should be introduced into the schema of the attenuator. On the second range a strong signal from 8 channel (Russia), and this usually requires the installation of rejector on the 8th channel, you can even adjustable. For this scheme, and align the levels by using notch filters UHF band, in this case, you may need a preamplifier UHF. After that connect all cables with the prepared to multiband bands (multiband amplifier), where the signals with the help of a band of regulators are summed, equalized and amplified to the required level for feeding to the network. Note that the TV requires from 60 dB to 90 dB, and a signal which is amplified more than 100 dB can create intermodulation (preuzimanje). As a result, the picture appear when shade is illuminated through a single channel picture second channel, or "crosses". 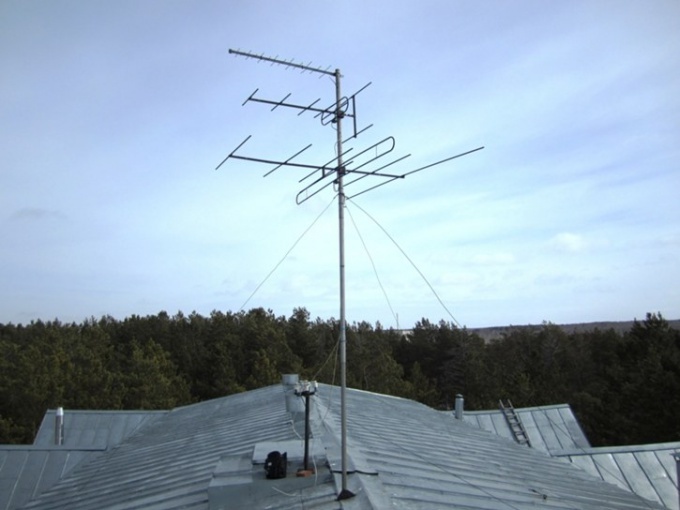 When the levels below, then one can change the antenna to a more powerful or elevate them above. Configuring the satellite tunerand is a complex process. Primarily this is due to the direct configuration of the antenna, which is used for special equipment. People who first trying to set up a satellite tuner, facing a number of challenges. connectors connect to a TV tuner and antenna for satellite tuner, satellite antenna, TV, user manual tuner. The first step in configuring the satellite tuner is calling a technician, who with the help of special equipment will target (pozitsioniruet) satellite dish to the desired satellite. Unfortunately, to perform this action is impossible. Satellite tuners and TVs have different connectors. You must choose one through which you will be connecting satellite tuner to the TV. Modern TVs have a variety of connections. Mainly use plug-type "Tulip" or HDMI if the TV tuner and allow you to use it. After connecting all the connectors, move on to configure the tuner. To do this, select any channel and the corresponding settings. If you select AUTO, the setting will take place automatically, and the found channels will be automatically saved in the memory of the tuner, to record their serial number as finding the next new programs. You can also choose the type of settings Manually - configured then only the channel selected at the time of setup. To change to the next channel will have to choose the most appropriate Adjuster team. Also there is fine tuning that more successfully configure a specific channel. Basic tuning is complete, i.e., it is possible to operate the satellite tuner. However, in addition to the basic settings of the tuner there are additional settings that make its operation more comfortable. For example, the tuner can be set to auto - on / off, setting date and time. Also, some tuners allow you to automatically record videos on a personal computer or external media. There are about 20 free channels of Federal importance, the acceptance of which may be adjusted in the presence of the antenna and the TV remote. Often television service providers to their clients a package that also includes a free preview of some channels. To configure the free channels include TV, pre-connecting it to the antenna, and take the remote. With instructions for use, configure the channels on your TV. Basically all actions are performed with the button "Menu" on the remote. After pressing this button the TV will display a menu where also using the remote, select the directory "Setup" with subdirectories "Automatic configuration" and "Manual settings". Select the subdirectory "Auto setup", then TV will start scanning the TV band and record the program in the memory of the TV. Upon completion, exit the menu and start watching TV. For free viewing satellite TV through a computer install a program ProgDVB with video codecs MPEG4 and MPEG2. To configure the program indicate the function of the time shift Timeshift and select the location for the record file, specifying its maximum size. To run the program in the setup menu, select device list where you specify the type of graphics card. Through menu log to the tab "DISEqC and providers", in paragraph empty again, specify the type of the Converter and the video card. Designate the desired view of the satellite in the tab "what is a satellite configured" and select "channel Search". If no keys use the method of sharinga. To do this, use a plugin for ProgDVB CSCLient and card DVB-S2 or DVB-S. Copy the line of access from the sharing server in the csc file.ini. Start ProgDVB. Select Cardserver Client in the plugin menu and mark it Active. Next, decide on the desired channel and go to the tab "channel Properties". Specify the identifier depending on the selected package. To view satellite TV on TV start on the receiver scan the satellite for available channels. After a certain amount of time, you will get two list of listing of free and paid channels. Select first, so you can install on your satellite TV.